KUALA LUMPUR (Nov 23): Felda Global Ventures Holdings Bhd (FGV), the world's largest crude palm oil (CPO) producer, is on the lookout for greenfield lands in Kalimantan, Indonesia, that are suitable for plantation, said its president and chief executive officer Datuk Zakaria Ashad. "We have enough expertise when it comes to plantation. That's why we want to buy land and plant on our own instead of looking for brownfield projects to acquire," he told a press conference to announce the group's third-quarter financial results today. "Currently, we're looking at the Kalimantan area. It (the search) has just started, but we're looking for lands that are suitable for plantation. If we get a good price, we will look at it," Zakaria added. FGV posted a net profit of RM38.8 million in the three months ended Sept 30, 2017 (3QFY17) compared with a net loss of RM73.61 million a year ago, on lower cost of sales. Quarterly revenue, however, slipped 1% to RM4.15 billion from RM4.19 billion in 3QFY16. The group also declared an interim dividend of 5 sen per share for the financial year ending Dec 31, 2017 (FY17), payable on Dec 28. On prospects, Zakaria said the group is expected to see better results with better optimisation of workers, aggressive foreign worker intake and better replanting supervision. "In our continuous efforts to maximise yield, we have strengthened the states' operations through labour optimisation towards harvesting activities, extended working hours and aggressive foreign labour recruitment. The outlook is further supported by the transition of our younger palms into productive stage. "Our performance has been on a positive upward trend since the first quarter. Based on the significant improvement in our FFB (fresh fruit bunches) production for October, we expect FGV to perform better at the close of FY17 compared with FY16," he added. Zakaria added that the appointment of professional subject matter experts such as Datuk Wira Azhar Abdul Hamid as FGV's chairman will strengthen the composition of the board and senior management. "These subject matter experts have the right experience and expertise to help move FGV forward and generate sustainable returns for our shareholders and stakeholder," he noted. 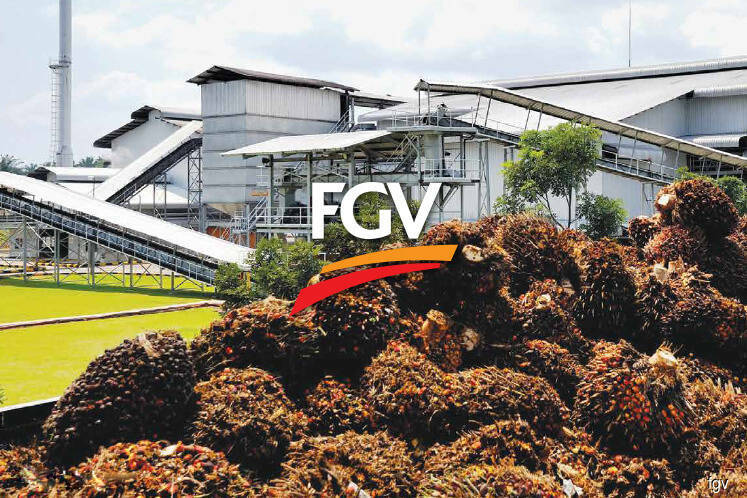 According to Zakaria, FGV will also see the roundtable sustainable palm oil (RSPO) certification for eight of its mills to be completed by the end of this year. It is targeting to have all of its mills obtain the RSPO certification by 2020. As for the Malaysian Sustainable Palm Oil (MSPO) certification, FGV chief operating officer of plantation sector Palaniappan Swaminathan said the group will comply with it. "When we're doing RSPO, we're also looking at MSPO. We are committed to both. Eventually, we see an integration where both will be certified together," he said. While FGV has seen an improvement in its plantation segment, the sugar division remains in the red for the first nine months of FY17 (9MFY17) despite turning positive in the current quarter under review. Zakaria expects the sugar division to turn profitable in the last quarter of FY17, and could return to the black for the whole FY17 as raw sugar price is expected to stay in the range of US$0.14 to US$0.15 per lb in the last quarter of the year. At 4.46pm, FGV's share price was up 5 sen or 2.79% at RM1.84, with 4 million shares done, giving it a market capitalisation of RM6.71 billion.